Due to certain reasons, this young girl has always remained indoors, and has never been touched by anyone outside of her family. She’s not the most social person, but her new school’s experiment, called “Amity,” will require her to make friends with others, as the program’s goal is to optimize the ability of communication. 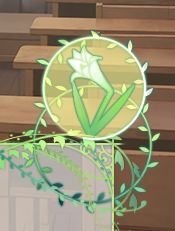 The first thing you should notice when you play the game, there's a flower on the right corner of the dialogue. If you choose Mayuri's route, it will show a green light behind the flower. And the flower will bloom. 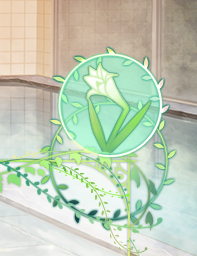 If you choose Rikka's route, it will show a yellow light and the flower will bud. Hi. About thid walkthrough there are missing partes in Rikka Route. The eight chapter. Thanks for the Guide.